In the past years, the cost of photovoltaics has fallen rapidly. Today the cost of electricity production from solar PV modules has become so low that PV is now cost competitive with fossil fuel energy sources. This became possible through the successful transfer of R&D results to the practice and also due to the fast expansion of silicon photovoltaic production capacity over the past years. Up to now the primary focus has been on cost reduction, while sustainability aspects have remained in the background. There still exists room for improvement in optimizing the energy and material consumption during production. 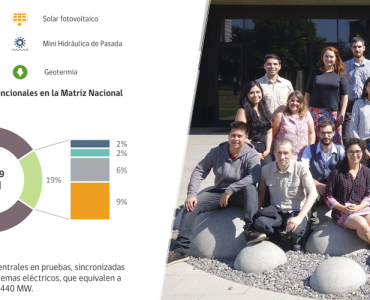 Research work that focuses on saving resources and fosters the future local production of photovoltaics is now in demand. For this reason, Fraunhofer ISE has created and further developed the so-called “in-situ” production of printed solar modules. By developing and analyzing the potential of new photovoltaic technologies, research on the photoactive material is of primary interest. The development first starts with the fabrication of sophisticated laboratory cells. Later, in a future production,one is confronted with the need to optimize many different processing steps and to integrate them in the production flow. If no suitable production concept exists, then market entry becomes much more difficult. To avoid this dilemma, the production technology through to the finished module must be considered at the earliest stage possible. 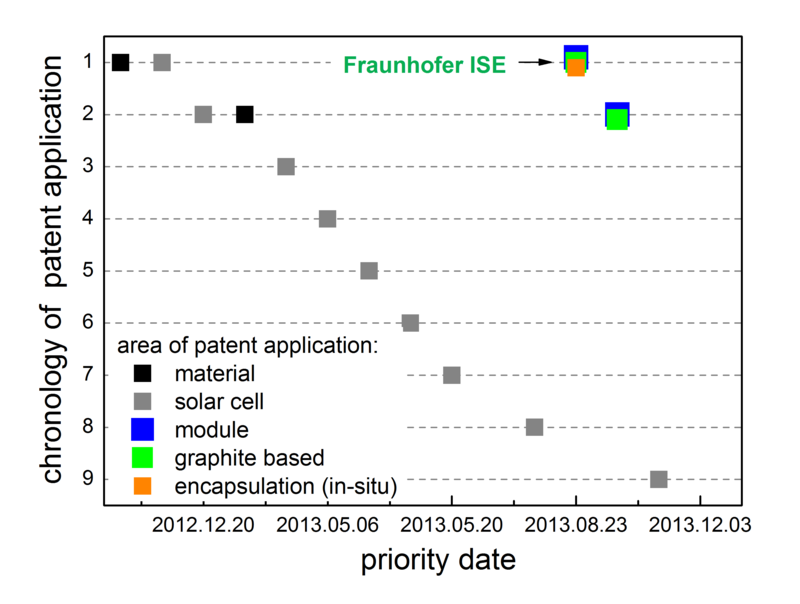 An interesting concept under investigation at Fraunhofer ISE is the so-called “in-situ” solar cell, in which the material and module development are integrated from the start. In this case, the traditional manufacturing process of a PV module from the cell to the module is reversed. First the solar PV module is produced. Then the photovoltaic material is subsequently filled into the module and in an in-situ process activated within the module. Perovskite is a particularly suitable material for this process and its potential is presently under investigation. When it is possible to successfully combine inexpensive absorber materials with simple production processes then the material costs of solar PV modules are basically reduced to the costs of the glass substrate. Decentralized manufacturing carried out at local production plants would become possible – not only at high-tech locations – but also at locations having a simpler infrastructure. For future marketing, the business model for this form of printed in-situ perovskite solar cells could be taken from the glass production and manufacturing industry. This means that based on the low material costs, the share of the transport costs becomes so significant that production and sales at a local level could compete with centralized production. In spite of its strong production growth, the share of photovoltaics in the global electricity supply is about one percent. The raw materials and energy used for module production play an increasingly important role as the capacity expands. 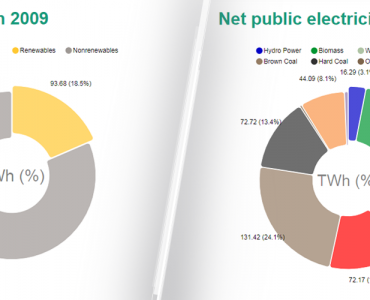 The carbon footprint, measured in gram carbon dioxide per kilowatt-hour of generated electricity (g / kWhel), is an important parameter for comparing different energy technologies. The less energy required for manufacturing and the greater the generated solar power, the better the balance. For in-situ solar modules, a first estimate put this value at 15 g / kWhel, which is very low. This assumed a twenty year operation at a location in Southern Europe. To compare, the value for a brown coal power plant is about 1 kg / kWhel. In our patented concept for in-situ solar cells from 2013, the sequence of the processing steps for manufacturing solar modules was reversed so that the photovoltaically active material is applied in the final step of production. First, porous electrode structures were screen printed layer by layer onto a large module-sized electrically conductive glass substrate. These electrodes, serving as a framework, were then sealed with a second glass substrate. The module is then almost finished. In the last processing step, a liquid photoactive absorber material is filled into the module. The porous structures of the electrodes absorb the material like a sponge, distributing it throughout the module. The crystallization takes place in-situ within the module. Novel perovskite materials are especially suited as absorber material for the in-situ concept. This type of perovskite is particular because it produces very high efficiencies for solar cells with layer thicknesses of less than one micrometer. Therefore, they have been attracting a lot of attention among researchers since 2013. We have now succeeded in registering a patent for the in-situ production solar modules as a scalable concept for perovskite-based photovoltaics. 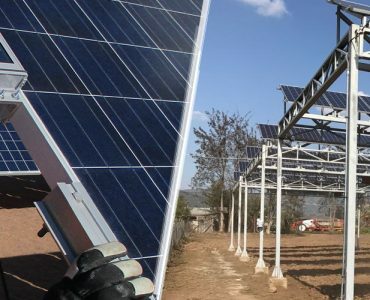 The in-situ concept is well matched for a realistic scaling concept, since ion drift is prohibited due to the glass frit sealing between the series connected cells in a solar module. For perovskite, an ionic material with the characteristics of a salt, a dangerous ion drift cannot be avoided otherwise. A direct adaption of the existing thin film technology, which provides no sufficient barrier between the cells, is not a possible application for long-term stable perovskite modules. When incident light is absorbed by the perovskite, positive and negative charge carriers are formed. These charge carriers must be transported out of the solar cells in order to collect the electrical energy. Porous titanium dioxide is used here to extract the negative electrons. The remaining positive charge carriers are blocked by the titanium dioxide and transported away by a porous graphite layer to the other side of the cell which is separated by an insulating layer. The electrode materials are very inexpensive, robust and can be easily printed. 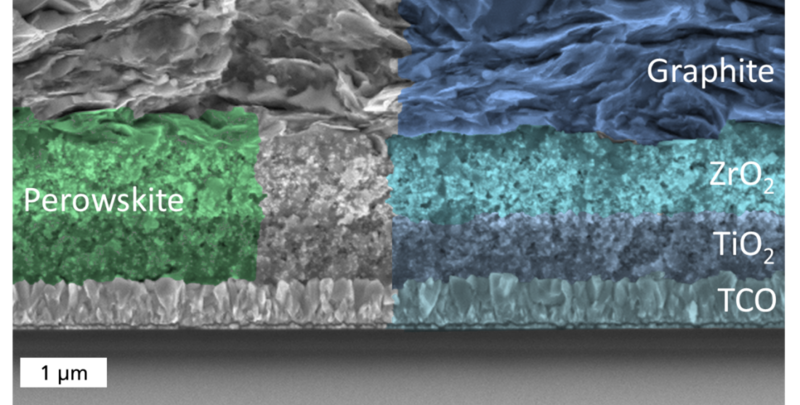 Only a small amount of material is needed for the perovskite absorber, due to its layer thickness of less than one micrometer. The components in the salt can be synthesized simply from basic chemicals that are readily available. For a while, the biggest challenge in manufacturing such cells was the homogenous filling and crystallization of perovskite within the porous structures. Up to now, the perovskite material was dissolved in a solvent. This solvent had to be subsequently removed in order for the perovskite to crystallize. To do this, the filled cell was heated to evaporate the solvent. This step, however, caused uncontrolled movements in the liquid, leaving non-uniform dried structures in the cell. When drying from solvents, processes similar to the so-called “coffee ring effect” occur so that the edges become darker than the middle. With the new process, for which we submitted a patent application in 2018, we were now able to avoid the problem of the solvent drying irregularly in the in-situ cells. Here, the perovskite material in the form of a powder is overflown by a polar gas, causing the perovskite salt to reversibly melt at room temperature and become liquid. The liquid perovskite solution can then be filled into the porous electrode structures. Through desorption, i.e. extraction of the polar gas, the melting point of the perovskite sharply rises and the absorber crystallizes within the pores as desired. This method creates a very homogenous distribution of the perovskite material. Less than two milliliters of the molten salts are needed to manufacture a module of one square meter. How efficiently a solar cell converts sunlight into electricity is one of the most important factors characterizing solar cells. For established technologies like silicon photovoltaics, a standard light source simulating sunlight is used to measure a so-called current-voltage characteristic of the solar cell using short term measurements. The efficiency is determined from the resulting measurement curve. For the younger PV technologies, such as perovskite solar cells, the established measurements used to measure efficiency have proven to be difficult to use. Perovskite, a photovoltaically active salt, memorizes namely the past measurement conditions. Thus, a previously applied voltage or light source used in the past can influence the measurements of a current-voltage characteristic. The actual efficiency of such solar cells integrated on the roof of a house or on a building facade cannot be precisely determined using standard measurement procedures. As we showed a short time ago, a reliable method for measuring the efficiency of perovskite solar cells is to perform longtime measurements under a constant irradiation and constant electrical load.. This mimics real working conditions of solar cells which are exposed to sun light at a fixed voltage over a long period of time. With this method, the cell’s memory of previous unsteady light and voltage conditions is erased. Using this method, we measured a stationary efficiency of 12.6 % over 0.1 cm2 and a photovoltage of 1.0 volt for a printed perovskite solar cell produced in a molten salt process. 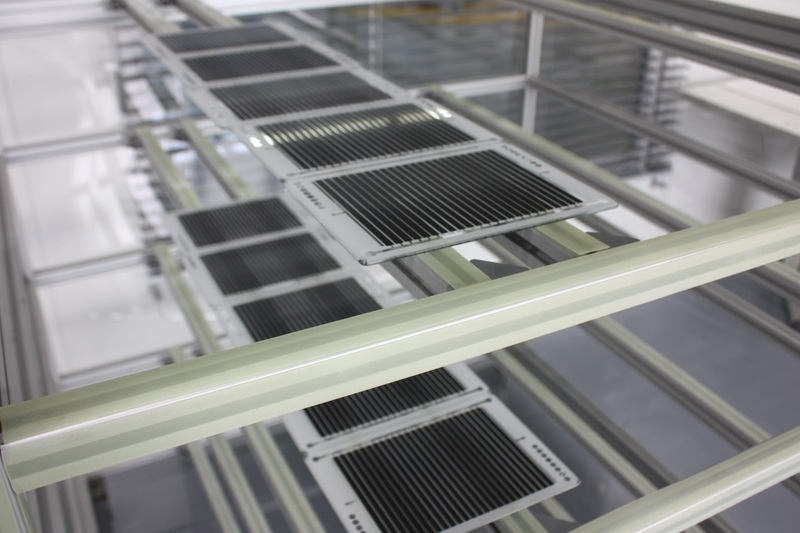 The measurements were carried out at CalLab PV Cells, the accredited calibration laboratory at Fraunhofer ISE. This is the highest efficiency ever reached for printed solar cells in general. The scientific details of our work are published in Nature Scientific Reports and in the ACS Energy Letters. Fraunhofer ISE is the coordinator of the group project “MesoPIN” which deals with the material development for printed perovskite solar cells. Along with Fraunhofer ISE, the project partners are the University of Constance, the University of Bayreuth and the University of Freiburg as well as the company Opvius GmbH in Nuremberg and Kitzingen and the company Thieme in Teningen. Further investigations on industrial upscaling take place in the Fraunhofer MAVO project “PeroTec”. The cooperative partners are: Fraunhofer IWM, Fraunhofer ISC and Fraunhofer ISE (coordinator). Dr. Andreas Hinsch holds a Fellow position at the Fraunhofer Institute for Solar Energy Systems in Freiburg. He is coordinating activities and national projects on perovskite solar cells. In 1992 he made his PhD in physics at University of Freiburg. From 1993 on he is involved in the research on dye and organic solar cells. He has worked as post-doc, project leader and senior scientist in Switzerland (EPFL-Lausanne), Japan (NIRIN) and the Netherlands (ECN). In 2001 he had established a group at Fraunhofer ISE on the topic and has been the coordinator in several European and national projects in the field.